Clinical psychologist and retired Army Colonel Dr. Kathy Platoni, provides seminars for first responders, health care providers, military personnel, Veterans, and mental health professionals. These seminars focus on the diagnostic label of Post-Traumatic Stress Disorder viewed as a normal reaction to abnormal circumstances and as a psychological injury rather than as a mental illness. Dr. Platoni will provide information and guidelines for responding to military veterans who are experiencing psychological crises. Participants will be able to describe the basic diagnostic features of PTSD, understanding that it is a psychological injury and not a mental disorder or defect. Participants will be able to identify those factors that contribute to the onset of PTSD and additionally, understand the internal experience of PTSD: what it looks like, what it feels like. 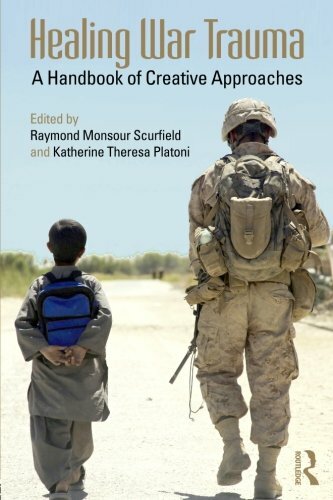 Participants will develop a working knowledge of the moral injuries that stem from war. Participants will be able to describe the invisible wounds of war and how the trauma of war impacts those who serve and wounds that do not bleed. Participants will develop an in depth understanding of how to approach Veterans in crisis and best practices for de-escalating violent behavior. Participants will learn the terminology and lingo of the veteran: those words that allow the Veterans in crisis to re-establish control. For more than 36 years, Dr. Kathy Platoni has served our nation, now as an expert in PTSD and war trauma. She is a practicing clinical psychologist, whose passion for the treatment of acute and chronic pain is rooted deeply in her own experience of both. Dr. Platoni was commissioned as a U.S. Army officer in 1979, and served more than three decades as a clinical psychologist before retiring as a Colonel in September of 2013. She is currently the Chief Psychologist for the Ohio Military Reserve/State Defense Forces. Dr. Platoni’s private practice reflects her expertise in the sub-specialty areas of behavioral medicine and the treatment of chronic pain and chronic, debilitating, and terminal illnesses. 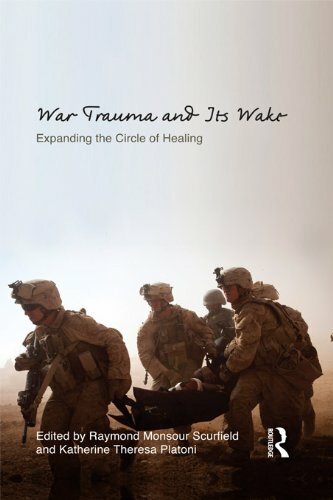 She is the co-author/co-editor of two landmark books with Dr. Raymond Scurfield: Healing War Trauma - A Handbook of Creative Approaches and War Trauma and It's Wake: Expanding the Circle of Healing.